Looking to update your wardrobe? Head to Khwaish in Forum Mall and stay in trend (without burning a hole in your pocket) with their line of comfortable kurtis, gowns and shararas. Wedding season or not, some of us (including yours truly) just need any passing excuse to go shopping. And if you're heading to Forum (that's more than enough excuse, you know! 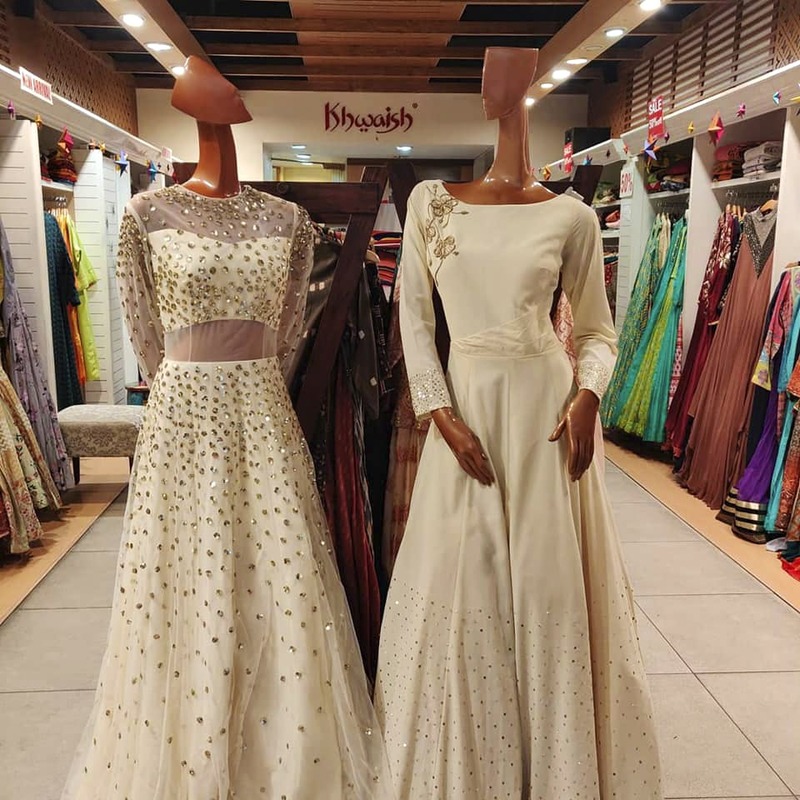 ), you've got to check out this pretty little boutique that houses everything from easy breezy cotton kurtis and palazzo sets to studded gowns, lovely shararas and long, layered skirts. All the products in the store are sourced from independent designers across the country, so you'll find one-of-a-kind designs that will make you feel like it was created just for you. Some of our favourite pieces were the turquoise cotton kurtis (priced at INR 650) that we're sure will help us beat the summer heat, Hollywood-style wedding gowns (starting from INR 4,000) and gota patti kurtis with crochet laces on the hem line, paired with layered shararas (INR 1,500 for the set). They even sell dress materials and have an in-house tailor who can do the stitching for you. Plus, they have several sizing options and will make alterations (at no extra cost). And if you want a specific design in mind (we're all guilty of going overboard with the Pinteresting), just make sure to reach out to Sindhu, the shop-owner, and she will help you achieve the look of your dreams! They have an exclusive selection of party wear in plus sizes.